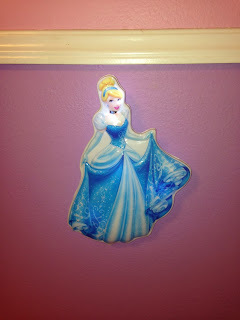 Like most little girls, my daughter adores characters like Cinderella, when I heard about Uncle Milton's Wall Friends, I knew that she would love to have her very own interactive wall character for her room! If your not familiar with Uncle Milton's they offer a variety of products for children, from National Geographic's Fire & Ice Volcano to having an Earth in your child's room, you will be sure to find a product or two that your child will love! I couldn't wait to set up Little Sister C's new Wall Friend, Cinderella, once you open up the box, there's just two pieces, Cinderella & the child size remote. 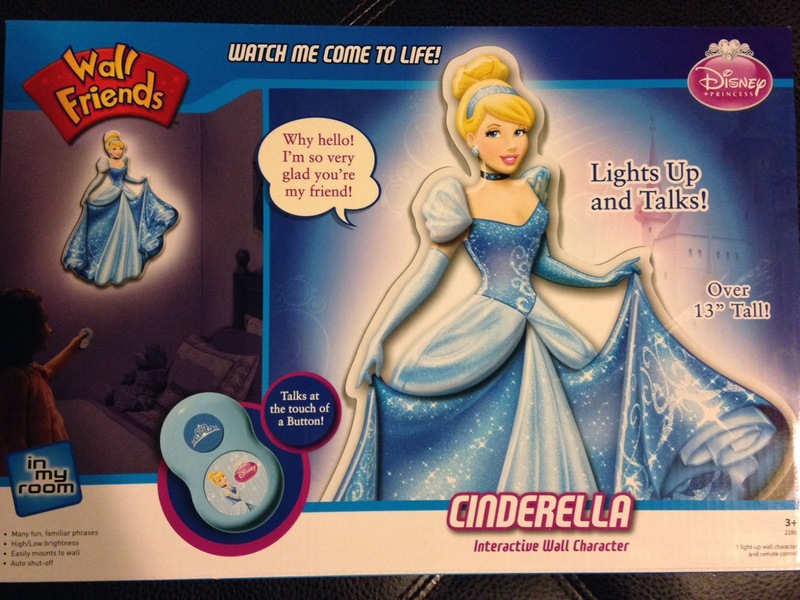 Simple place batteries in both pieces & switch Cinderella to low or high brightness (which can be found on her back). Next, just mount her to the wall & watch her come to life! Cinderella is over 13 inches tall & features an auto shut-off as well. Cinderella will interact with your child with a variety of fun & familiar phrases like "A dream is a wish that comes from your heart" & she will say "Why hello! I'm Cinderella". 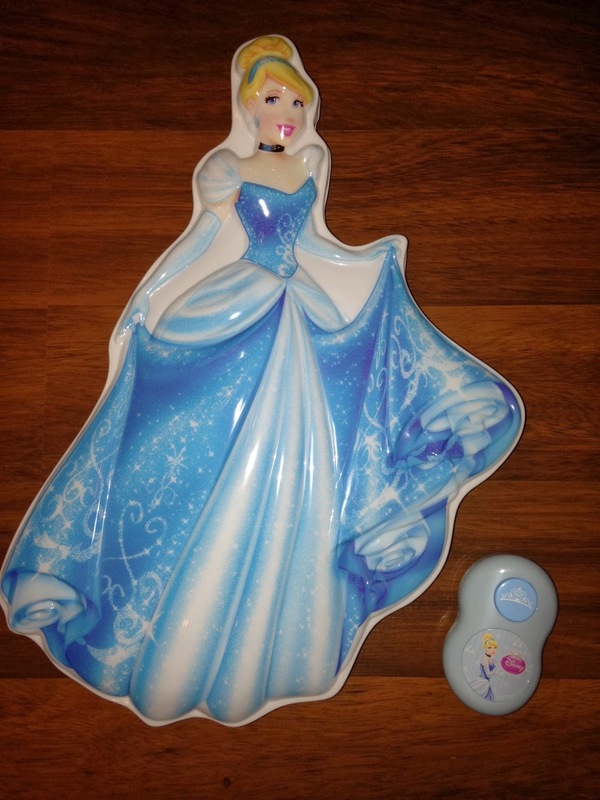 The remote control is the perfect size for little hands & easy to activate Cinderella with just a push of the button, day or night, your little princess will enjoy her new magical Wall Friend! I recorded the short clip below so you can hear how much she really sounds like the real "Cinderella"! Cinderella does have a retail price of $34.99, which is a little bit more than what I would probably spend on her but the reaction on my daughter's face the first time she "met" Cinderella was priceless! What Wall Friends would your child love to have in their room, Uncle Milton also carries Doc McStuffins, Mickey Mouse & more, these would make a great birthday or Christmas gift for your little one! 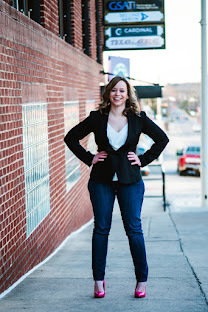 Stay connected with Uncle Milton by liking them on Facebook, tweeting with them on Twitter, they are even on Pinterest & You Tube! Okay, that is seriously cool. I've never heard of this company. Do they have other characters besides Cinderella? thanks for the heads up! How cool is that?!? I would've loved that as a kid!! How fun! My daughter would love this too. Thanks for sharing the review and video! THis is so great. Any child would love an interactive wall figure like this one. I never heard of this Uncle Milton before your review. I wonder if Doc McStuffins sings the theme song from the show? It is a very catchy tune. 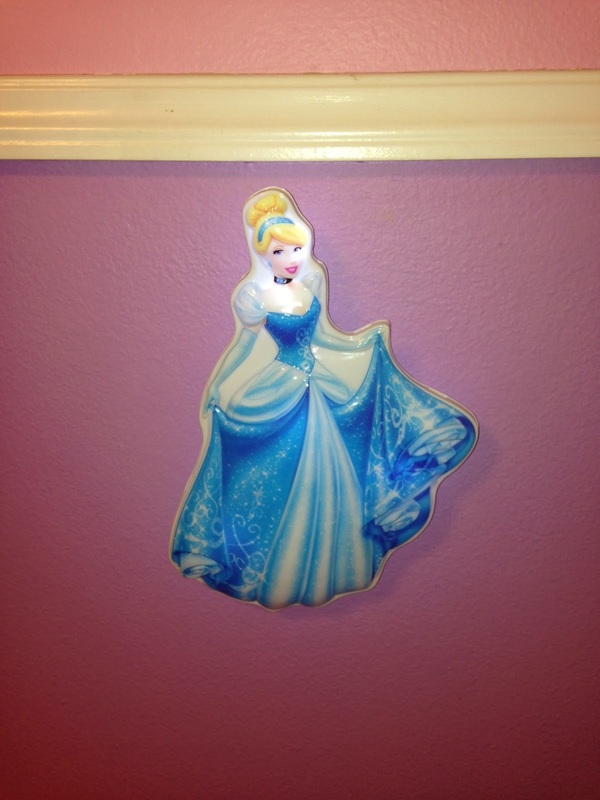 This Cinderella Wall Art is one of the best inventions I have ever seen. This is such a cute and fun way to interact with Barbie! I loved Barie when I was a child, and if I had this I would have been over the moon. Great toy to get a girl for Christmas! Oh my gosh, my little sister is obsessed with princesses and she would love this! I've never seen these. My oldest has a "moon in my room" but the littles would love Mickey or Cinderella!! !